One of the most dominant post players in University of Maine women’s basketball program history died Tuesday morning after a long battle with cancer. Stacey Porrini Clingan, 42, passed away due to complications caused by breast cancer. Porrini Clingan played for UMaine from 1993 through 1997, and is fifth all-time in program history with 929 rebounds. During her career, she also averaged 9.6 points and 7.9 rebounds per game. Maine made three NCAA Tournament appearances during her tenure, beginning its ascension through the ranks of mid-major women’s basketball. 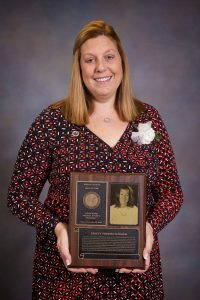 Stacey is was inducted into the Bristol Sports Hall of Fame in 2016. Our deepest sympathy goes out to Stacey’s family.